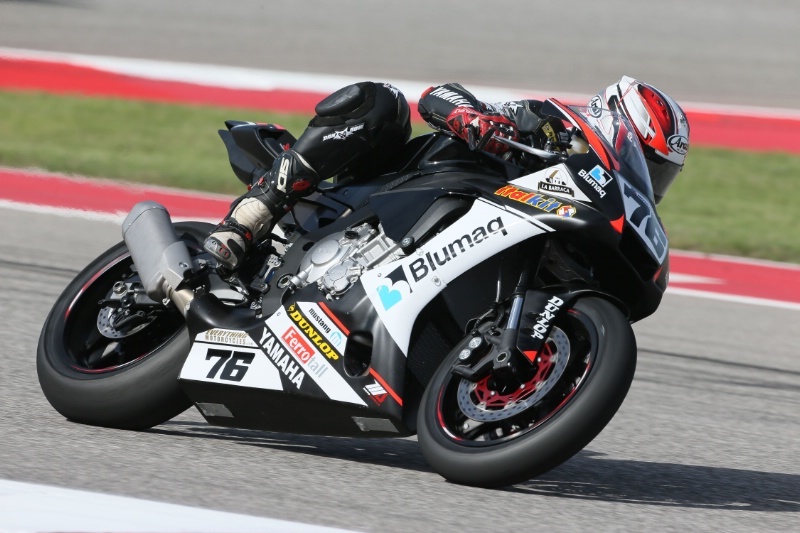 ‘A chain-reaction, multi-bike incident on the first lap of today’s second MotoAmerica Superbike/Superstock 1000 race at Mazda Raceway Laguna Seca has resulted in the deaths of two competitors. ‘Bernat Martinez, of Alberic, Valencia, Spain, was transported from the raceway by ambulance to Community Hospital of the Monterey Peninsula (CHOMP) in Monterey, where he succumbed to his injuries. He was 35. ‘Daniel Rivas Fernandez, of Moana Galicia, Spain, was transported by REACH Medical Air Services to Natividad Medical Center in Salinas, where he also succumbed to injuries. He was 27.